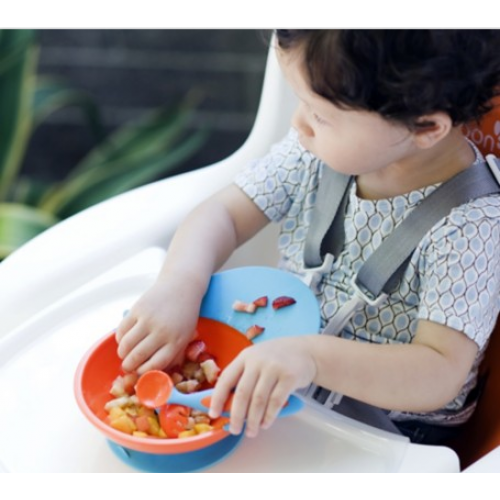 Your house and child's clothes don't have to resemble feeding time at the zoo. 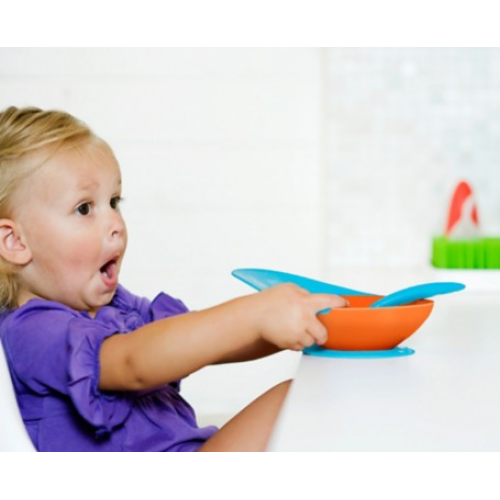 CATCH BOWL's built-in food catcher extends toward your child, creating a ramp to catch runaway food. What they're eating ends up back into the bowl, so there is less mess and waste. 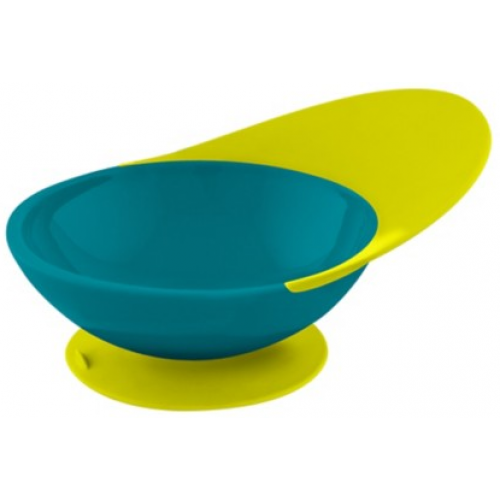 Bonus: It has a suction cup bottom so kids can't pick it up and throw it at you. Dimensions: 5.6" x 7.2" x 3.25"
Wash thoroughly before initial use and after each use. Wash each piece separately.Top-rack dishwasher-safe or hand wash in warm, soapy water. DO NOT microwave. DO NOT boil or sterilize. DO NOT use with fatty foods such as soups, vegetable oil, butter, etc. Fatty foods can potentially break down the flexible material over time.